Fictional short stories. Themes include: family life, extended family relationships, heritage and identity, culture, faith. Each story has discussion/reflection questions for classroom and homeschool use. This collection features stories about the rewards--and challenges--of family life. While family interaction isn't always easy, healthy, strong family relationships are vital to the development of every child. 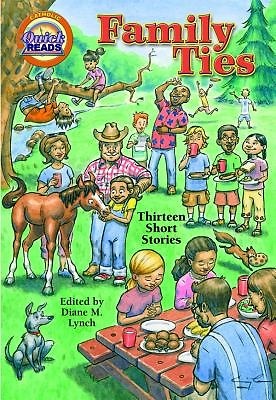 Family Ties provides engaging stories for children ages 7-11 that they will relate to and enjoy.